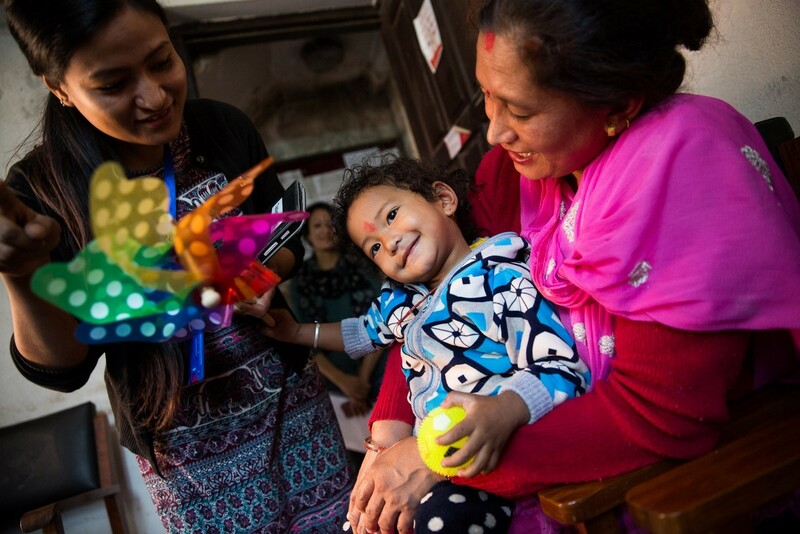 On November 20, 2017, the Typhoid Vaccine Acceleration Consortium (TyVAC) vaccinated the first of 20,000 children against typhoid, successfully launching a study to assess the impact of typhoid conjugate vaccines (TCVs) in preventing typhoid among children in Nepal. This vaccination study is part of TyVAC’s effort to generate evidence on TCV impact, and accelerate the use of TCVs in countries with significant typhoid burden. The study in Nepal is taking place over two years, and the results will inform future country introduction plans for the TCV. 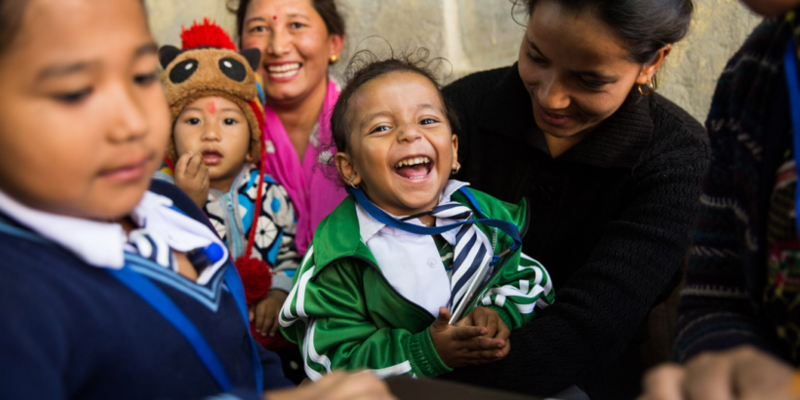 Successful introduction of the TCV in low-income countries that experience a high burden of typhoid, like Nepal, could potentially prevent many cases and deaths among children every year. Before the study launched, project staff conducted extensive community outreach in the Kathmandu Valley, where it is taking place. Community support for the study is essential and activities ranged from staff going door-to-door and visiting local mothers’ groups to meetings with the district’s Public Health Division, mayor and other locally elected representatives. The project staff were also trained on a number of different topics, including cold chain management, vaccination administration, informed consent, data management and more, reflecting the effort that it takes to vaccinate 20,000 children in only three months. The TCV being used in the study is the recently prequalified Typbar-TCV®. This new TCV has several advantages over earlier typhoid vaccines, including the potential ability to provide longer-lasting protection. It also requires fewer doses, and can be administered to children younger than two years of age, making it the first-ever typhoid vaccine to be approved for this age group. This is especially important, as children and adolescents younger than 15 years of age are disproportionately impacted by typhoid. As TyVAC continues to collect data, this will help gather evidence on how effective TCV is at preventing typhoid and potentially saving many children’s lives. Scroll through our photo feature for a look behind the scenes at what made the launch of this vaccine study such a success.